Want to make YOUR vote count? Want YOUR voice to be heard? This event will allow you to meet the candidates first-hand, hear their positions on issues important to our campus, and pose questions directly to them! 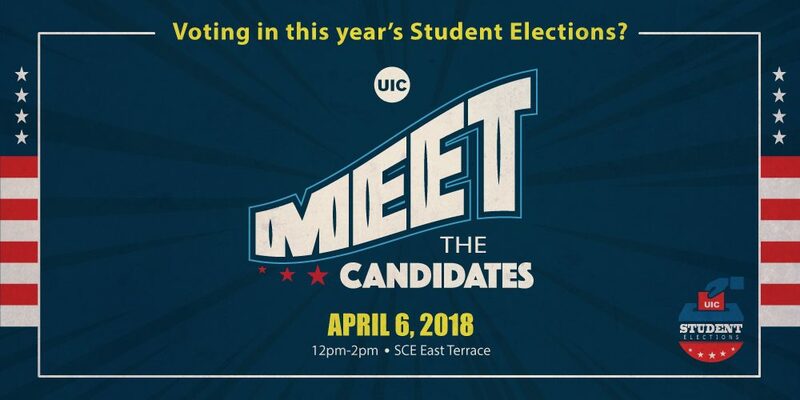 To learn more about your candidates before this event, visit go.uic.edu/studentelections.